You call this a trim??? | Do the twisted. ← Is your box green? You call this a trim??? If trees could talk, I think they would be pretty pissed off with the style tree trimmers give them. 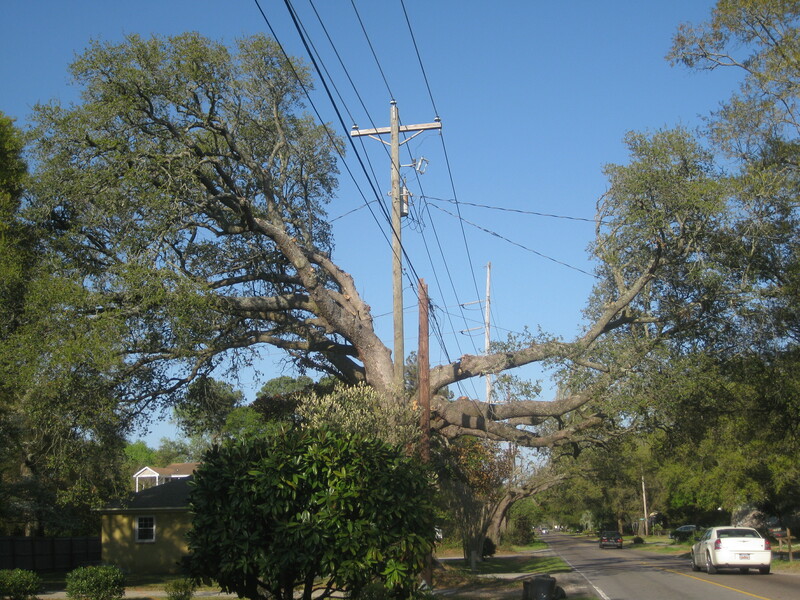 Instead of pruning and trimming trees properly, they carelessly butcher trees to make room for power lines. I’m no rocket scientist, but I would bet my marbles there’s a better way to maintain the majesty of a tree without destroying it. It’s like going to the hair salon and instead of getting a nice weave, someone shaves straight down the middle of your head. Not cool man. As we continue to celebrate Earth Month, we need better tree trimmers a.k.a arborists so we can really rock it out. Arborists are supposed to come up with appropriate solutions to maintain the aesthetics, health, and overall structure of trees. Instead, some trees like these poor fellas, had someone gut them rather than selectively choose which branches to remove. Of course, their counterargument is that trees will be more dangerous during a storm if they interfere with the electrical lines. When in fact, their poor job makes trees MORE likely to break off during a storm because they’ve killed or wounded parts of it, weakening it’s structure. It’s baloney. Where’s Edward Scissorhands when you need him? He’d show them a thing or two. 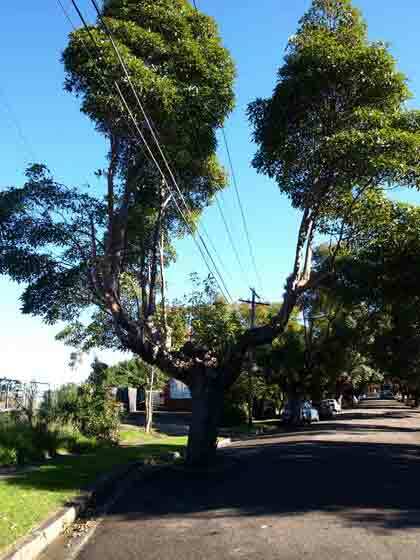 Wow – that’s the most disastrous tree pruning I’ve ever seen. I don’t know what they were thinking.